Yesterday I had the pleasure of learning all about some new John Deere Mowers for the 2011 line-up. I’ve been a John Deere owner for years and a huge fan so anytime new Deere’s hit the street I’m always excited! This year includes some exciting new models for Zero-Turn mowers along with new 100 Series line-up of tractors. The new line-up includes two new offerings with the Z645 and Z655. They will provide homeowners with the fastest ground speed in the homeowner market, the highest horsepower available in a residential zero-turn mower, and an exclusive, high-capacity mowing deck. The Z600s will also offer a 4-year/500-hour, bumper-to-bumper warranty. “Our EZtrak mowers have consistently provided superior cut quality, and now with the new Z600s, customers can mow more in even less time with our exclusive high-capacity deck, and top speeds of 9 MPH,” says Kim Ridel, John Deere tactical marketing manager. 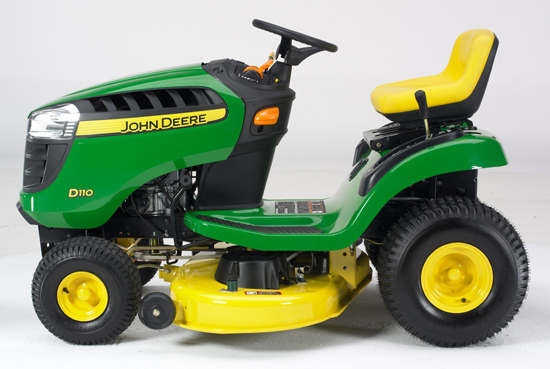 The 100 Series lawn tractors from John Deere have been extremely popular with home owners around the Country especially those shopping at the big box stores. 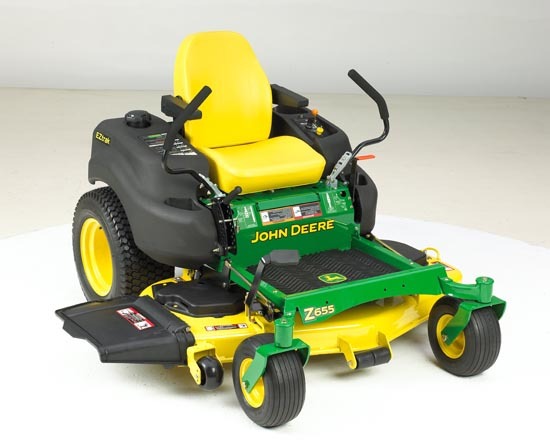 Home owners looking for an affordably priced mower backed by the John Deere name flock to this series. Now those who choose the 100 Series will find better fuel efficiency, reduced emissions and sound levels, and enhanced operator comfort and visibility. “The 100 Series tractors have always been great machines, but now owners will have greater fuel economy, feel more comfortable when operating the machine, and enjoy increased visibility from the seat,” said Greg Weekes, John Deere group product marketing manager.